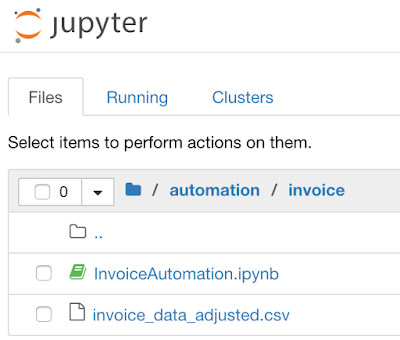 When you build machine learning model, first start with the data - make sure input data is prepared well and it represents true state of what you want machine learning model to learn. Data preparation task takes time, but don't hurry - quality data is a key for machine learning success. In this post I will go through essential steps required to bring data into right shape to feed it into machine learning algorithm. Sample dataset and Python notebook for this post can be downloaded from my GitHub repo. invoice_risk_decision - 0/1 value column which describe current invoice risk. 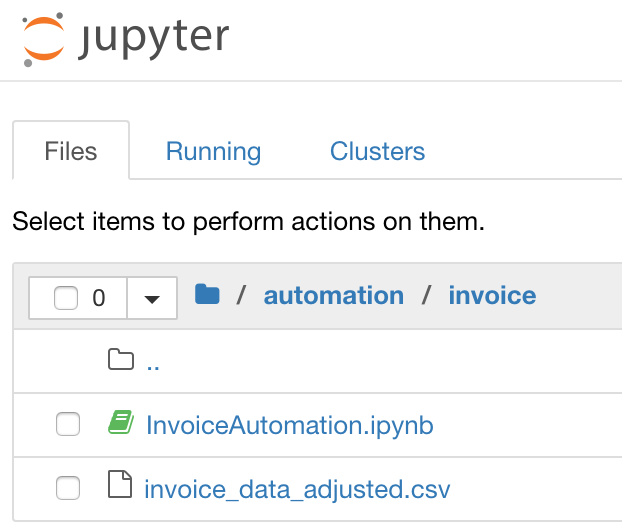 Goal of machine learning module will be to identify risk for future invoices, based on risk estimated for historical invoice data. Machine learning typically works with numbers. This means we need to transform all categorical features into continuous. 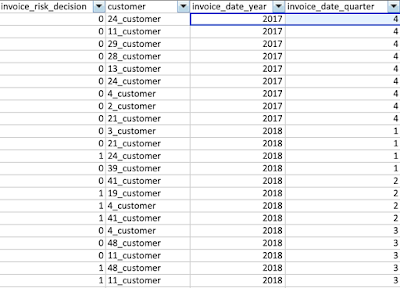 For example, grand_total is continuous feature, but dates and customer ID are not. Using this approach all date columns can be transformed into continuous features. Customer ID column can be converted into matrix of 0/1. Each unique text value is moved into separate column and assigned with 1, all other column in that row are assigned with 0. This transformation can be done with Python library called Pandas, we will see it later. As you can see, all date columns have high correlation as well as grand_total. Our rule tells that invoice payment risk is low, if invoice amount is less than all total average - thats why correlation on grand_total value exist. 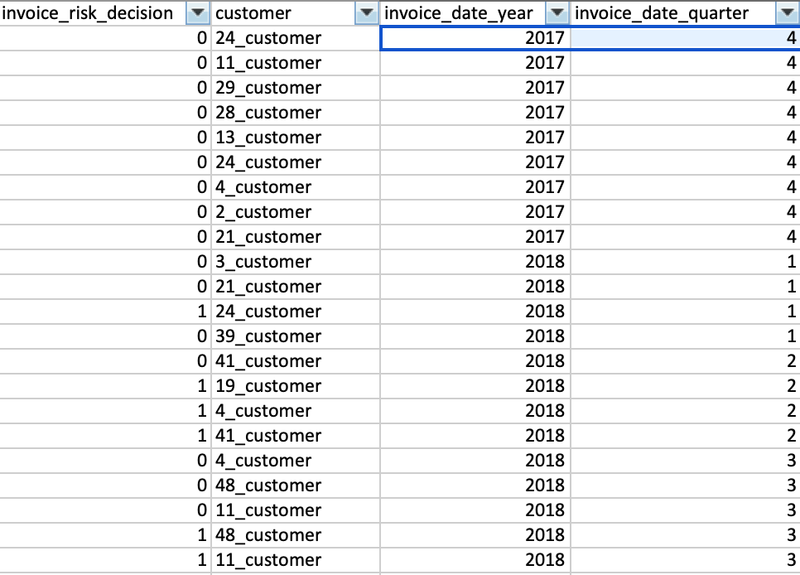 Customer with ID = 11 is the one with largest number of invoices, correlation for this customer is higher than for others, as expected.